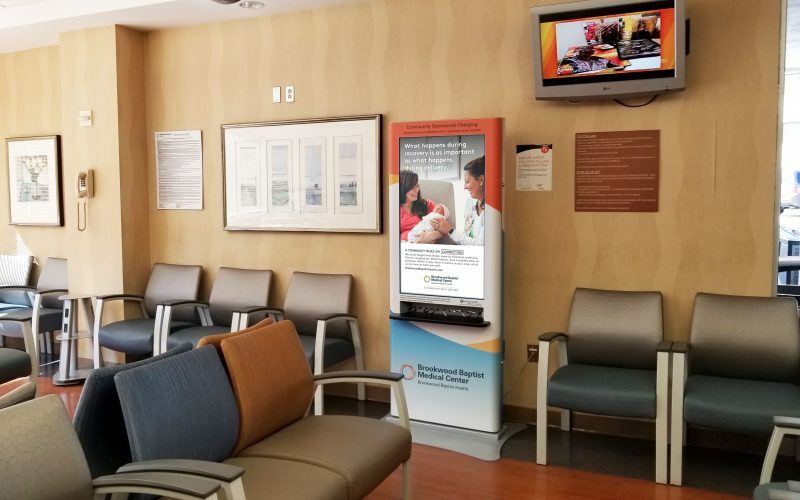 Innovare just finalized a new major installation of mobile charging stations and digital advertising screens within 5 hospital facilities in Alabama. The Innovare Medical Media team supplied Brookwood Baptist Health Hospitals (Brookwood) with 9 digital charging stations and charging bars valued at over $90,000 completely free of charge. In addition to displaying local advertising, the hospital facilities will use the LCD digital advertising screens for internal hospital messages and hospital marketing to patients, visitors and their healthcare professionals. Numerous local and regional businesses are excited to promote their products and services on this innovative media platform. Innovare is thrilled to partner with Brookwood and remains determined to continue to deliver a great product and service for all 5 facilities. Contact our team of professionals to learn about our partnering opportunities.